Note: This is a work in progress. Updates and further information will be posted on the Early Modern English page at JeffLindsay.com and also at Mormanity. 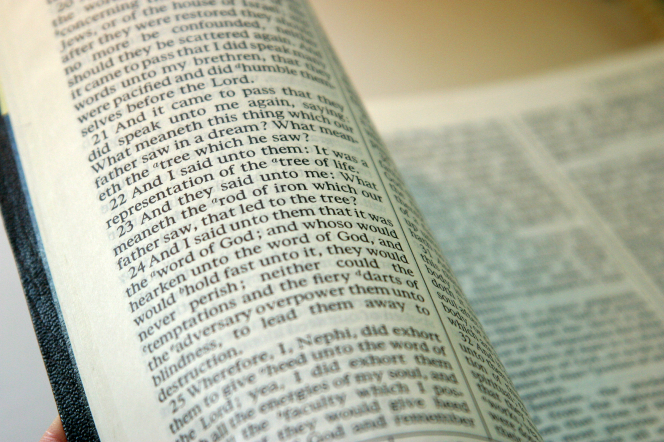 One of the most puzzling but interesting issues in Book of Mormon studies has been the discovery of strong elements from Early Modern English (EModE) in the text of the Book of Mormon, with grammar and vocabulary that often slightly predates the King James Bible. I remain impressed with the detailed, data-rich work of Stanford Carmack and Royal Skousen on this topic, though I still feel a need for caution about the conclusions to be drawn. If the English of the original Book of Mormon dictated by Joseph Smith has clear EModE influence that cannot be explained by simply using KJV language, then it may say something interesting about the miraculous process used to guide Joseph's translation. On the other hand, I've also wanted to see how much of the EModE could have come from archaic elements in the English dialect that Joseph knew and spoke. Is there some way to characterize that dialect and distinguish it's imprint in the text from actual EModE? In exploring this issue, I have found a study on the use of the verb "be" in New England dialect showing characteristic non-standard forms that evolved after the EModE among immigrants in the United States. The article is "Invariant Be In New England Folk Speech: Colonial And Postcolonial Evidence" by Adrian Pablé and Radosaw Dylewski, American Speech, Vol. 82, No. 2 (2007)151-184 (a full text PDF is available). This suggested a test to consider: Does the original text of the BOM use New England-style patterns of the verb be that distinguishes it from EModE, or are the patterns consistent with Carmack and Skousen's work? My analysis is not yet complete, but so far, after examining every occurrence of be in the Book of Mormon and looking for usages relevant to Pablé and Dylewski's study, the relevant instances of invariant be appear consistent with EModE and do not point to uniquely New England influence. Features of New England dialect that came after EModE, such as heavy first- and second-person indicative use of "be" (e.g., "where be ye?") don't appear. Familiar New England negative forms like "ain't" also don't appear. But some of the odd-sounding uses of be in the original text that seemed like bad grammar and were fixed by Joseph or later editors turn out to be acceptable Early Modern English from, say, the 1500s. This raises a host of questions, but they are questions we should explore in light of the data and not our preconceived notions of how the text was generated. There is a reasonably strong case against the notion that Joseph simply borrowed language from the KJV, coupled with his own quaint dialect from New England. But much further work needs to be done and more tests need to be devised with new sets of data. For example, what can we learn by examining the language of the 1835 Doctrine & Covenants, Joseph's journal, his other writings and speeches, and statements recorded from his family and peers? What might we learn from examining court records and other documents from Joseph's day to help us understand characteristic dialects of upstate New York that may have differed from New England dialect? There are many other avenues to pursue and much to learn. Much of the non-standard, awkward grammar in the Book of Mormon as dictated by Joseph turns out to be characteristic of Early Modern English (EModE) several decades before the King James Bible was written. This puzzling discovery was first made by Dr. Royal Skousen, the man whose lifetime of work is pursuing the Book of Mormon Critical Text Project. In my opinion, to best understand the Book of Mormon text as dictated by Joseph Smith, it is vital to use Royal Skousen's grand work, The Book of Mormon: The Earliest Text (New Haven and London: Yale University Press, 2009), hereafter The Earliest Text. This text arguably gives us the best available estimate of what Joseph dictated to his scribes. It also summarizes many especially noteworthy changes in the Appendix and traces their history. EModE can be said to begin around 1470 and to extend to perhaps 1670 or so. The KJV, first published in 1611, fits squarely in this period, yet has some distinct differences from the EModE of earlier decades. Finding EModE elements that pre-dates KJV English or that do not occur in the KJV was not driven by an apologetic agenda, but was a completely counter-intuitive and controversial find that was simply driven by the data. Apologetic arguments have evolved, but the case for the authenticity of the Book of Mormon in no way depends upon them. If the language of the Book of Mormon as dictated by Joseph Smith was standard Yankee dialect or just Joseph's own bad grammar, as many of us have long assumed, that fits the idea of revelation being given to people in their own tongue and language. It's quite a paradigm shift to consider that the language Joseph was dictating might not just be his own language loosely draped in KJV verbiage but often reflected some kind of tight linguistic control to yield archaic scriptural language that was surprisingly standard or acceptable in an era slightly before the KJV was translated. Why and how is still a matter for speculation and debate. But the data is there and demands to be considered, explored, and tested. One man taking up that challenge is a linguist, Dr. Stanford Carmack, who has further explored the strange occurrence of archaic EModE from several angles in great detail. Carmack more fully demonstrates that the Book of Mormon provides extensive and accurate EModE usage and grammar in ways that cannot be explained by copying the KJV. Such laughable blunders as "in them days," "I had smote," and "they was yet wroth" turn out to be consistent with EModE patterns. The analysis shows that much of what we thought was bad grammar is quite acceptable EMoDE, sometimes showing a sophisticated mastery of EModE. A natural language hypothesis can be consistent with either a fabricated text or a divinely transmitted text based on real ancient writings on golden plates. Indeed, a translation process using Joseph's own language and dialect, complete with bad grammar and other linguistic warts, is what some faithful LDS thinkers have long assumed. But Carmack and Skousen offer a surprisingly different explanation for the flaws in the original text: not bad grammar, but a divinely transmitted English text with heavy dose of reasonably good Early Modern English provided with the consistency, subtlety, variety, sophistication, and naturalness of a native EModE speaker, making the linguistic fingerprint of the Book of Mormon impossible to explain as a derivative of the KJV, though it also draws heavily upon that text. If BOM language is not simply the language of the KJV, could it be in part the language of Joseph's local dialect, or is something more miraculous required? To explore the hypothesis that Joseph's own regional dialect simply preserved EModE elements in ways that can account for all or much of the original text of the BOM, some additional tests are needed. While the Book of Mormon was dictated in upstate New York, it's reasonable to assume that New England dialect may have been a strong influence in Joseph's language. He was born in Vermont and lived there until age eight, and continued to be raised by his thoroughly New Englander parents, with a father from New Hampshire and a mother from Vermont. In searching for information on New England dialect, I found an interesting study that may be useful in framing a test that can differentiate the influence of New England dialect from EModE on some non-standard elements in the original text of the Book of Mormon. The reference is Adrian Pablé and Radosaw Dylewski, "Invariant Be In New England Folk Speech: Colonial And Postcolonial Evidence," American Speech, Vol. 82, No. 2 (2007)151-184 (a full text PDF is available). Pablé and Dylewski explore a widely recognized feature of New England dialect, the tendency to use the finite "be" in indicative cases that would normally require conjugated forms like "is" or "are" in standard modern English. For the third person plural, both New England dialect and EModE sometimes use finite be, as in "they be there." But a distinguishing feature is the use of invariant be for the third person singular indicative, as in "he be here", a pattern which is well known in New England dialect but not characteristic of EModE. Based on the evidence at our disposal, we feel justified to claim that by the late seventeenth century, be in colonial varieties of English was diffusing to grammatical contexts typical of postcolonial New England folk speech, but atypical of Early Modern British English, namely to the first- and second-person singular context. It may well be that the questions just cited constitute the earliest "American" attestations of nonsubjunctive be with the singular. The historical dictionaries of American English offer no analogous attestations of be dating back to the seventeenth century. The earliest reference work featuring singular indicative be in a declarative clause is the Dictionary of American English on Historical Principles (1938-44), which quotes from Cotton Mather's Magnalia Christi Americana, published in 1702: "I been't afraid! I thank God I been't afraid!" Interestingly, the New Englanders using be as a singular indicative form (i.e., Ann Carr-Putnam, the magistrates John Hathorne/Jonathan Corwin, Cotton Mather) were all American-born, which underpins the "domestic origin" hypothesis of singular indicative be. Postcolonial and Early-twentieth-century New England. While invariant be in colonial American English has not yet been studied in any systematic way, grammarians and dialectologists devoted some attention to it once it had become recurrent in the speech of the "common people" living in a particular area. In fact, a social and regional connotation inherent in be was noticed by contemporary observers already at the end of the eighteenth century--in Noah Webster's (1789) Dissertations on the English Language, he included be as a typical feature of "the common discourse of the New England yeomanry": "The verb be, in the indicative, present tense, which Lowth observes is almost obsolete in England, is still used after the ancient manner, I be, we be, you be, they be" (385). Grammarians writing in the first decades of the nineteenth century also commented on the regional concentration of invariant be usage. Thus, John Pickering wrote in his 1816 Vocabulary that finite be "was formerly much used in New England instead of am and are, in phrases of this kind: Be you ready? Be you going? I be, &c" (46). In his English Grammar, Samuel Kirkham (1834, 206), in a chapter dedicated to "provincialisms," cited two examples of be supposedly typical of "New England or New York," with be appearing in independent direct statements ("I be goin"; "the keows be gone"); Kirkham also adduced examples of be as a main verb in direct questions and short answers--as Pickering had done ("Be you from Berkshire?" "I be")--and cited the negative form ("You bain't from the Jarseys, be ye?"). In Kirkham's opinion, the latter three cases represented only "New England" usage. Atwood (1953, 27) confirms that informants using be as part of their sociolect in LANE belonged exclusively to the "Type I" category, that is, those born in the mid-nineteenth century, which suggests that be had become a relic form, no longer actively used by informants born in the first decades of the twentieth century. In fact, some field-workers of LANE noticed that the expressions How be ye? and . . . than I be were associated with "humorous usage" by younger speakers, which seems to indicate that such phrases were sociolinguistically marked in the 1930s and may have served for stereotyping. Regarding potential uses of invariant be that might reflect New England or other folk dialects, the relevant examples of invariant be to consider begin right on the title page. For the moment, I'll use the term "persistent subjunctive" mood or "double subjunctive" to describe a sentence that maintains the subjunctive mood introduced in an early clause. (I'm sure there is a better grammatical term--let me know, please!) This feature, interestingly, is attested in Early Modern English. I provide several examples in my related article at JeffLindsay.com and Mormanity. This "persistent subjunctive" sense continues to occur several times in the Book of Mormon, frequently in cases where today we might prefer to use indicative or a modal verb + be in the second phrase, or even lose the subjunctive mood entirely. 1. … for the others if there be fault in them, let them be sent for, and punished. 2. Concerning rites and ceremonies, there may be fault, either in the kinde, or in the number and multitude of them. The fourth Booke: Concerning their third assertion, that our forme of Church-politie is corrupted with popish orders, rites and ceremonies, banished out of certaine reformed Churches, whose example therein we ought to haue followed. The relevant invariant be example on the title page of the Earliest Text sets the stage for what follows in the text. Namely, every case of the "interesting" or "relevant" instances of invariant be (based on searching for "be" used with first, second, or third person cases) turns out to be reasonable subjunctive cases consistent with EModE usage, including the use of the "persistent subjunctive" discussed above, along with specific phrases not found in the KJV but attested in EModE. If there is unique New England influence in Book of Mormon usage of invariant be, I've been unable to find any trace of it. On my lengthier related pages at JeffLindsay.com and Mormanity, I look at further examples of invariant be in the Book of Mormon text, including the common phrase "if it so be" (42 occurrences) that Carmack shows is good EModE but does not occur in the KJV. I also explore the variant, "if it should so be," which is found twice in the Book of Mormon and in EModE, but not in the Bible. For now, the case for unique New England influence in the use of "be" in the Book of Mormon is coming up negative. The negative "ain't" of New England dialect is also a negative for the Book of Mormon, in a positive way: it ain't there. Further tests are needed, but so far, many notable characteristics of New England dialect don't seem to show up in the Book of Mormon, other than those shared with KJV language or EmodE, while many aspects of EModE are found in the Book of Mormon in ways that can't be explained by imitating the KJV. Why it's that way and what it means is a topic for further debate, but let's conduct this debate in light of as much data and analysis as possible. I hope this minor effort contributes to that discussion.